Running for ten series and a total of 86 episodes from 2002 to 2011, the dramatic stories of MI5’s battles to defend the UK against its covert enemies was an immediate hit for the BBC and aired across the globe in over 60 countries . The feature film version takes things to a new level with stunning locations and a multitude of set-piece action scenes. 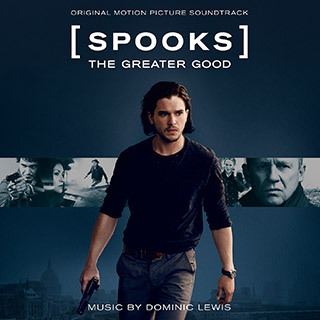 Dominic Lewis had an incredible start in the business working alongside the cream of film composers such as Hans Zimmer, John Powell, Ramin Djawadi, and Henry Jackman. His additional music has appeared in many blockbusters including X-Men: First Class, Red Dawn, The Interview and Kingsman: The Secret Service. His full solo feature film debut was with the the animated hit Free Birds and Spooks: The Greater Good represents the next step of his career after his learning curve working with the very best in the business.